All good things… Well, these weren’t all that good but they were a lot of fun! Thanks go to Mark K. and Erika L. for getting these to me! 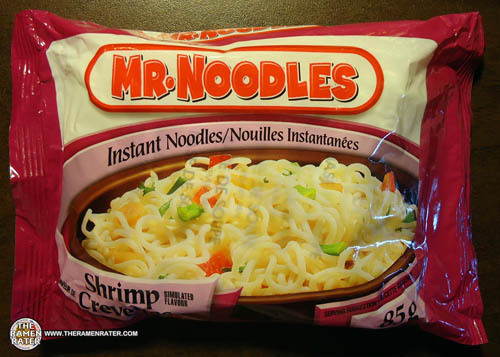 They sent a slew of different flavors of Mr. Noodles and they were really my first foray into the world of Canadian instant noodles! Now it is time to give the last pack a try. Here we go! 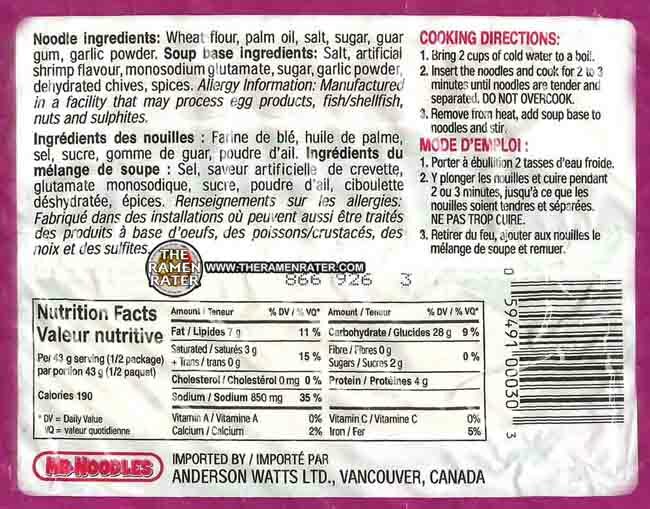 Back of the package (click image to enlarge). Something interesting – all the others were imported by Anderson Watts Ltd. of Burnaby B.C. and not Vancouver, B.C. 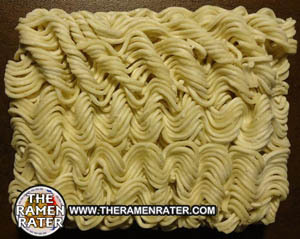 The noodle block. They’re so crisp and uniform! The seasoning awaits becoming broth. Finished (click image to enlarge). 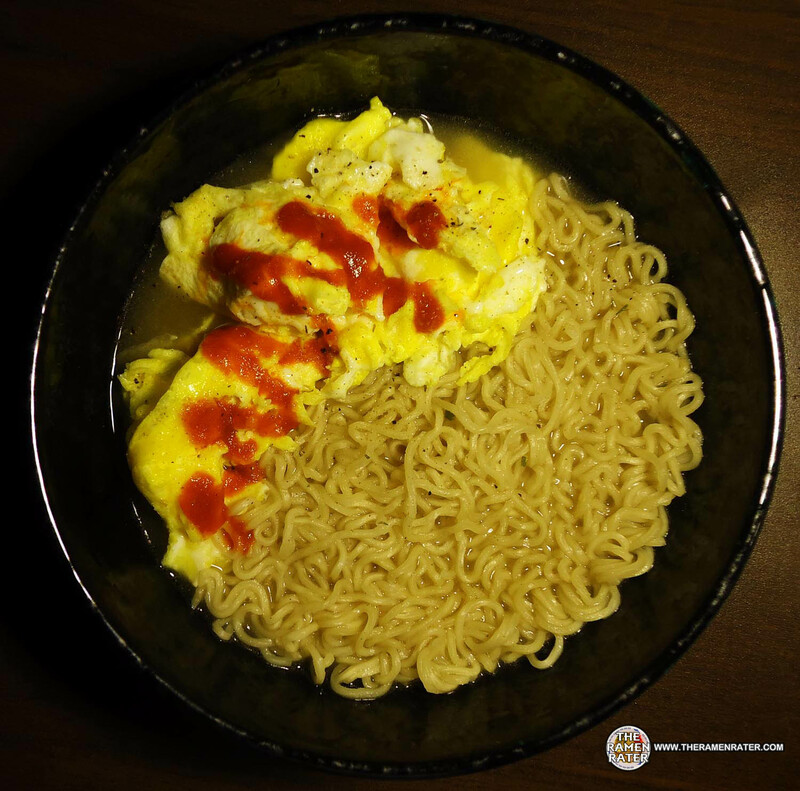 Added a couple scrambled eggs, some Huy Fong Sriracha chili sauce and some Krazy Mixed Up Salt. The noodles are funky; they are almost doughy! Weird. 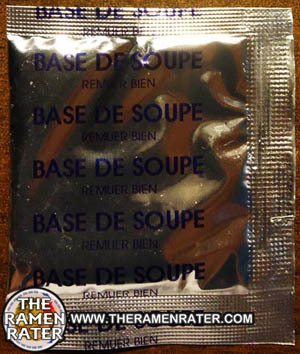 The broth has a bit of flavor but not a lot and not a shrimp flavor. I dunno – it’s so fascinating and so meh. 2.5 out of 5.0 stars – fills the belly. UPC bar code 059491000303 .